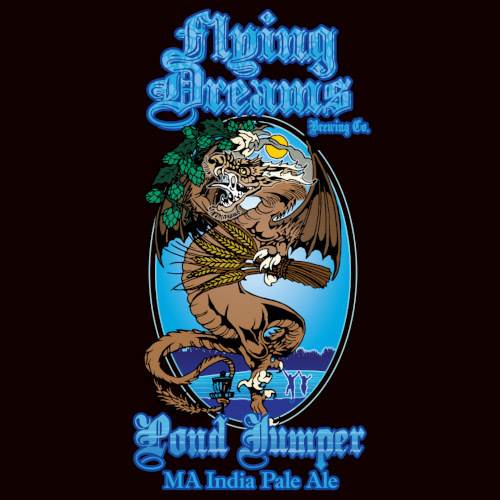 First brewed as an ode to Hole 1 of Maple Hill Disc Golf Course in Leicester, Pond Jumper IPA was also debuted there during the 2016 Vibram Open. Disc golfers love their juicy IPAs and this one was brewed for them. Passion fruit, grapefruit, mango, orange, and pineapple are just a few juicy words that apply here. So whether you are trying to clear the pond with a huge bomb, or just jumping in the pond to cool down, let Pond Jumper refresh and invigorate you. Cheers!